In a syrupy voice, the awful waffle walker tries to butter you up. I'm clearly board games obsessed, and I'm just now at the point that I own and have played 50 games that I'm really excited about. Different people have different tastes, so I was inspired by the board game reviewers out there to try to make some sense of what I like about the games I love. Here's me trying to make sense of it all. The games are sorted by my personal preference. I know I have a problem because as much as I love these games dearly I'm equally excited to play the new games I have on-deck. What I like: This game is completely perfect with 5 players. The elegance of the way action cards determine the order of actions is both intuitive and elegant. Every mechanic in this game ties into the greater workings. There's nothing unnecessary. 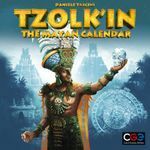 The combination of known information, such as the action cards available and your current cube levels in the various board provinces creates a fantastic tension with the unknown information of who is in the Castillo, and which cards your opponents have used or are saving. What I dislike: No matter what I can't think of anything. If I had any criticism of this game it would be... and this is a stretch... it would be the Veto card that cancels the effect of another card. In general I'm not a huge fan of counter spell style effects, but really it's fine here. 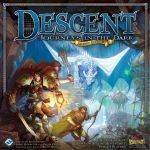 Extra Notes: I personally had to get the Decennial Edition, which comes with most if not all the expansions folded in. It was the completest in me, but El Grande base is so satisfying that each time it comes out we talk about trying an expansion but end up just playing the base game. 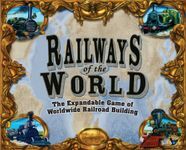 What I like: I feel that this is the most historically thematic railroad building games between Steam and Age of Steam. That being said, Steam could easily be in the #2 spot of this geeklist as I love them both. The reason I go with Railways is I like the larger board, I like the unnecessary plastic bits to mark empty cities, and I love the action cards that consist mostly of men with awesome mustaches. Seriously though, Railways and Steam both, are fantastic route building games, where every action takes some thought and planning. I love trying to figure out if it pays to build a railroad around someone else's route or it it's better to ship goods over their route and share in points. What I dislike: There's little to dislike here, if I had to pick something it would be that some of the maps are more 'knowable' than others. This is to say that some maps are meant to be developed in a certain order. For example, the Railways of the World east coast map that comes with the game. In this case, you need to develop the east coast before trying to move west, otherwise there are just fewer opportunities for you overall. I know, it's not even really a flaw, especially considering the amount of expansion maps available. Extra Notes: A lot of people debate which of the three is best, Age of Steam, Steam, or Railways of the World. They're all very similar, but I do own all three, as I enjoy the nuances between them in the rules. My good feelings are for all three. For geeklist purposes, I'm lumping them into the same item. Gun to my head? Railways. What I like: This is a really fantastic route planning & stat building game. As you build your routes, you pick up the tokens along the way and use them to make your board and your actions better. I also love the thematic way that "slavery" cards exist that, while they are easy to get and give you an early boost, if players push for it, SUDDENLY become so unfashionable that they count against everyone's victory points. The stat building mechanic reminds me a lot of another game I love Hansa Teutonica. What I dislike: With fewer than 5 players the board gets a little too spread out. There's no sensible way to close of regions because of the way the routes and tokens spread out. I wouldn't play this with fewer than 4. Extra Notes: I hate that this is out of print and has become expensive. It's hard to recommend this to anyone for that reason alone. Currently my favorite worker placement game! What I like: It's resource management game where time becomes a crucial resource. Your turns are simple, as it's either place one or more guys, or pull one or more guys. Very easy for new players, but has a lot of depth in terms of trying to be the most efficient in your path. What I dislike: The second corn technology that allows you to collect corn when the supply tokens are depleted is too good, and everyone HAS to take it. I've played several times where I've decided to try not getting that technology, and every time I either lost by a ton due to lack of corn (corn allows you to take more actions at once, and feed your workers), or I've had to just take it because I was getting points for technology tracks. Extra Notes: I could not be more excited for the new expansion they are working on. What I like: This is the best Civilization game I've played. 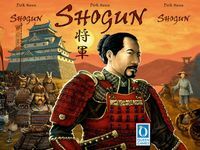 The way players can occupy the same spaces, the simplicity of combat, the detailed nature of the technology cards and the smooth bluffing of the trade phase make this such an impressive experience. I can not wait for my next play. What I dislike: The game length makes it very hard to get to the table. The frequency that the disasters happen with can start to feel repetitive towards the middle of the game. Thankfully, technologies help you avoid the worst effects of the disasters, which is great, but round after round of the same disasters lucking up again can get minorly tiresome. 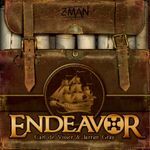 Extra Notes: Played with Advanced Civ, as produced by Andrew Tullsen as re-designed by Evan Derrick. What I like: This gives me everything I've ever wanted out of Magic cards but in a non-collectable format. When I was a magic junkie, I used to imagine in my head my army of creatures maneuvering around my opponent's defenses and barriers. 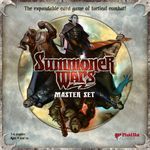 Summoner wars comes one step closer to visualizing that thanks to the card grid, where you actually ARE maneuvering around your opponent's defenses. It's almost a miniatures game in terms of it's tactical aspect, but unlike a miniatures game, these cards allow for simple yet complicated abilities that you and your opponent can see right in front of you. As much as I love Heroscape, there are times I don't even worry about the abilities of my opponent's guys just because I'm too impatient to have them read out the card to me from the other end of the table unless it's super relevant to the current combat. What I dislike: There are cool addon packs that add a minor deckbuilding aspect to the game, which are a great idea, but each time I tinker with the deck I feel like I'm making it less effective than it was out of the box. Maybe that's not a bad thing. There's not a lot to dislike here. I will say it uses dice for combat, which brings along the sort of randomness that can end your game even if you make every choice correctly. On the whole I don't like using dice in games, but I've learned to allow myself to not be upset when they ruin the best laid plans in these sorts of games. Extra notes: a big reason my wife loves to play this with me is the extra pretty dice you can get for each faction. They bring a real sense of elegance to the components. What I like: Fantastic game that scales well no matter how many players you have. I love the tension of taking actions, bidding for tiles and trying to manage the flow of getting new workers all with the same pool of meeples. The mechanic where each tile can only be used by workers of a single color at a time is really interesting and innovative. I also get excited by the carcassonne-esque way tiles from the center get added to your personal town, whereupon other players can use them and you get the benefit of keeping the guys they spend. Really clever! All in all it's a mix of worker placement, bidding, tile placement and resource management. What I dislike: Certain specific winter tiles create point combos of unbeatable power. Players need to know about those tiles ahead of time and prevent players from exploiting them. Extra Notes: There are a number of mini expansions out there for this game, but most just add extra variation in the form of winter tiles. For a really interesting time, grab the Key Celeste one. That adds a whole new mechanic to be worried about where you lock a tile in for your opponent, but immediately for yourself get the collection of workers they had bidding on it. It's a fun game of chicken. What I like: Worker Placement and area control fused into a delicious sandwich. The way the action board resolves is very similar to, but less harsh than, Dominant Species. One of the interesting things here is you can use a few different spots to turn your workers into specialty workers who will count for twice the strength or unlock a special ability when used. The game starts out where everything seems possible, and then you realize as the colonist dock fills up, and as people grab the trade goods, and as the player ahead of you in turn order drops his captain in the merchant ship box, that you'll have to do better to get what you want. What I dislike: The board is very pretty, but needs a major redesign for usability. This is a seriously, almost to the point of non-functional board. The new world provinces are too tiny and all the plastic workers have to be bunched up to prevent clarity as to where they stand. I suppose they had to make them small so they could print "AGE OF EMPIRES III" in huge letters at the top of the board. Even on the actions board the graphic design of "PUT A WORKER HERE" is inconsistent. If there's ever a second edition, I'm there. 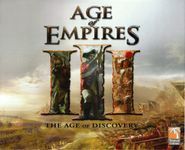 Extra notes: This game was renamed because they lost the license to Age of Empires III. They neglected to ever print a copy of the game with the new name... so yeah... confusion. Also, the expansion comes with new AND replacement buildings, because the backs of the tiles were printed differently. What I like: It's like fantasy Legos, the pre-painted minis battle game. The figures are beautiful and the terrain is like minecraft made physical. I love building the maps and then designing the armies. Games go quickly, and the limitation of only allowing three groups to activate at a time is really innovative. It puts this powerful power limiter that makes something manageable, which would otherwise be overwhelming. Did I mention I love that the minis are all ready to go out of the box? I also love the sanity rules of 'if the mini can see the other mini it has line of sight' and the 'if the guy can't fit in that space, he can't go through that underpass'. What I dislike: The army cards are in an asinine shape. There does exist artscow printable normal sized cards, and I've honestly considered it. It's random in that way minis games are when they use dice for combat. Additionally, terrain can give certain powerful flying units a huge advantage over swarms of guys. For the amount of different types of guys with different abilities over different terrains, they do a fantastic, but not flawless job of balancing things. Extra Notes: This game is expansion heavy. Completists beware. What I like: Impressive resource management game where all the mechanics flow smoothly into the other mechanics. It scales really well being just as fun with 2 as it is with 5. I love the dynamic where you both want to be next to your opponents to benefit by taking power from their constructions, and you want to be far away from them so you can have enough room to build. What I dislike: It only suffers from forcing you to focus in on 'that thing' you are supposed to be doing with your faction, rather than explore your options creatively, but there are so many factions that I won't be bored exploring the options any time soon. What I like: Solid route building game where the road part of the route clears once it's completed allowing multiple players, multiple opportunities to score points over the same route. Certain routes unlock better versions of your actions as you remove tokens from your board and add them to your available route tokens. What I dislike: Some of the important routes in the base game map get a little cluttered and hard to complete. I highly recommend playing with the Eastern expansion map if you can, but if not, the base game is ultimately fine. What I like: I enjoy a good resource management game, but it's a rare treat to be able to enjoy it in space with cool space combat. The tiles are beautiful, and I love the way you drop cubes from your board onto the plants, revealing better incomes from the resources the planets produce. Very clever and thematic! I like how the tutorial race (humans) are completely playable against the advances races on the flip sides of the board. I also like that even though the game uses dice for combat, you can alter your ships with computers and shields to alter the probabilities of sending and receiving hit rolls. The upgrading ship blueprints and grabbing technologies is really fun and satisfying. What I dislike: Spending actions on bad explore tiles can cause you to fall behind early, which is perhaps unnecessarily random. I'm always tempted to house rule it and say look at 2 and pick one or something of that nature. What I like: Really fantastic worker placement game where you have to race to get the action spots you want. Too fast and you miss out on the gear you need to get the job done, too slow and you'll lose a lot of points to ties. What I dislike: The fact that this is only 5 player! Let's get a 6th player in the mix! What I like: Short worker placement game with a fun mechanic of having the ability to displace their workers with your stronger worker. Of course this means they get to reassign their displaced worker where it could make you sad. The tension of having to decide if you want to spend to punt your opponent when doing so could cause you to be punted from another of your placements is nothing more than thrilling. What I dislike: There have been some expansions that add new laws to the game. The new laws add some fun re-playability, but it's important to the game that there be the correct number of laws, and that they should resolve in number order as printed on the backs, with some flexibility where two or three have the same number, so that they can be semi-random. Since getting the expansions, I've gotten the number of laws wrong more than once, although I'm not sure how. I know someone will call me dumb, but I can't help but think the whole thing could use some extra clarity. I'd also love for the war tiles that are only meant for a certain number of players, be indicated so on the tiles themselves so I don't accidentally shuffle them in. What I like: The game round starts with an auction and then moves into a worker placement phase. In placement, nearly the same things from the auction are available, but of course before you could have gotten them for dollars, and now you have to spend workers AND dollars. Calculating the value of one vs the other is a really fun aspect of this game. The fact that major resources aren't spent and can be reused if you are clever/careful is fantastic. There's a ton of game here, and it's like nothing else. What I dislike: The game's various card piles have uneven effects in terms of power, which goes beyond the situation where sometimes you might get a card you just can't use. One action card might give you 5 bucks, and another might MURDER your opponent's guy. Sheesh! What I like: This is a game where you start off in a bad place, and everything you do that helps you makes your life worse later. It's incredibly fun when your choices come back to bite you. I've never been so on the edge of my seat when playing a co-op game. It also really fits my personality as I'm someone who always worries about consequences of actions and worst-case situations. It's like my inner soul as rendered in boardgame. What I dislike: The only thing that would make this game better is if you weren't supposed to read the eventual potential consequences of the cards, but I don't think that would work as mechanic physically. Additionally, I don't see a huge benefit to building the "palisades" but I'm sure I'm wrong and more plays will reveal their true purpose. What I like: Interesting game where your job is to attack everyone everywhere all the time. You also don't lose a lot of game progress if you die or are defeated in combat, which is refreshing. The minis are beautiful and the three tech trees you can invest into are very well thought out. What I dislike: There is an ability for players to take control of other player's homes, although there is a lot standing in their way to do so. I'm tempted to say that the whole thing is unnecessary, and if they wanted a way for players to aggressively benefit from each others pyramid progress, there could be a better way of doing that so you could ignore the whole 'doesn't need to stop for walls' thing. it is fun punting back and forth in and out of temples and victory point areas. It's not fun when your engine gets shut down by a player standing on your house rather than benefiting himself more by standing on points in the field. Again, this eventuality is rare. I've only had it happen to me once, and it ended with the player not involved in that exchange winning, so there you go. Still, why even have it? What I like: Very smooth mechanics, quick turns. Innovative cost system. Very engaging restrictions on where you can build what. This game makes me think without pushing up hard against decision paralysis. What I dislike: The game seems to have runaway leader issues. The scoring achievements 'all or nothing' system causes some of this, and the unpredictability of how much time you have to accomplish a goal is the other half. This isn't super detrimental to enjoyment because the game itself is so interesting, and I expect this to improve with more plays, as I learn to rush and not over-invest in a single scoring action. What I like: Fantastic worker placement game with an el-grande style 'most cubes' scoring mechanic. The action cards effects are very harsh, but even in a turn where you get wiped from the board, you can bounce right back on the next turn, so long as players know to not kick you when you are down. What I dislike: The harshness can be off-putting for new players, and bad or inexperienced players can choose to victimize the same player over and over again with the powerful card effects. What I like: A resource management game that involves careful balance of natural resources vs trying to out-speed the other players to victory. Lots of tiny cardboard bits stacked on other bits, but there's a real joy to that for me. I also enjoy how you remove resources from the board revealing unusable pollution behind, and if you are not careful you can choke yourself to death. What I dislike: It perhaps could use some more player interaction Only one of the endgame goals really mandates that you have anything to do with the other players. otherwise it's just a semi-race to getting the better placement spots for a second city in the middle. What I like: It's a fun pseudo-RPG/Adventure game, where players compete against the GM player to try to complete a scenario goal first. This game has a lot of cool looking minis, and I enjoy the way players increase in skills and powers as they invest experience points into their various skill trees. What I dislike: Frequently base game quests are hard to understand the rules to, leading to game play effecting mistakes being made. This has improved over time. Frustrating that there are minis included for characters, for monster groups, but not for bosses. In some cases boss monster minis are sold separately. I also wish the heroes could invest points into multiple professions. There's so much content in this game, it feels a little overwhelming that you can play the same class and have a near infinite character/skilltree combinations to pick from. 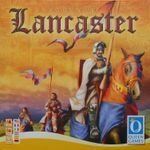 What I like: Clearly I'm addicted to area control games that involve cubes in provinces, but this one has the special element of having to plan your actions province by province all at once before you really know your opponents movements. Predict correctly and you'll do very well. Predict wrongly and your forces might be wasted. Additionally because you start at semi-random places on the board, you need to be in constant dialogue with the players around you. What I dislike: cube tower itself is a little delicate. I'd love for a high quality single unit sturdy cubetower like this. What I like: In general I enjoy games where you have military figures on the board so long as they don't get too fiddily and so long as meaningful combat isn't too random. In this game, you have to win the bid to worship the right god in order to take the action(s) associated with that god. The expansion adds a new god, hades, who covers up one of the god spots randomly, meaning the same actions aren't always available every turn. It's really fascinating and it sings with exactly 5. The minis are also really cool, even if they are a little pointless, as most of them have one-use effects and then vanish from the board. What I dislike: There can be situations where you get knocked out of a region by your opponent and you are unable to retake it just by virtue of not being able to win the bid for the move action. It's a double edged sword, as it is both part of the strategy and part of the frustration. Thankfully there are a few paths to victory, so you can try to switch gears for awhile and rely on your other opponents to deal with the situation if need be. 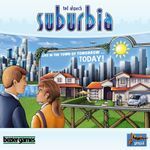 What I like: Quick and simple to play city building game, that gives you a lot of interesting choices and synergy between tile placements. It's fun when your tiles get you benefits from things other players have on their boards. What I dislike: I like this a lot, but I'm not sure how I feel about the mechanic of only playing with about half the tiles each game. You might see a tile that gives +1 income per airport built from now on and then never have any airports come up, just out of randomness. This is especially noticeable when you use the essen mini expansion. Also, the graphic design is more than a bit dry. When this game was first released I didn't pick it up just because I didn't like the look of it. Overall the game-play won me over. What I like: Fascinating worker placement and role selection game. The big design standout here is that you can be locked out of taking some of your action assignments if you aren't careful about placement. In general I'm not a huge fan of games that have action denial as a mechanic, but here it's almost something that you do to yourself by not paying proper attention than it is something one of your opponents can inflict on you. The essence is you have a few worker tokens you get to place. When you resolve your actions, you can only resolve an action where you have a majority of tokens, so you might need to plan and react if an opponent goes for the same action as you during the placement phase. What I dislike: The map is large for the amount of movement points your boats realistically get. Sometimes your boat can get stuck on the wrong end of the map because you don't have enough move actions left in the game for it to be relevant.